Discover the future with foiling; raise above the water, connecting the foil wing to the energy of the ocean lifting and propelling you forward. Our Intro program covers it all; histories, equipment, safety, launch technique, rising, foiling and falling. After your first session you’ll be able to rent the boat for additional foiling sessions or move on to next level of our foiling program. We believe so much in our foil Intro program we will guarantee you’re foiling by the end of your 1st session or your second foiling session is absolutely free. A brief history of foiling followed by an explanation of the equipment: masts, wings and boards. Learn why wings give us lift and how to control your ascent, plane, descent and falls. Dry runs first to get you up; If you’re a surfer or SUP’er we will go strapless and into the technique to pop to your feet, if you’re a kiter or a windsurfer get ready to strap in and be lift from the water wakeboard style. Important safety tips on how to avoid colliding with the foil is given before we hit the water, for the tow session behind the boat. If you want it all, to master foil SUP’ing, Kiting, Windsurfing or wave surfing then the Foil Clinic will break it down and give it all to you in 2-days, four sessions following a simple step-by-step program. After the first Foil Intro session you’ll move onto the waves in a tow – in session for the SUP’ers and wave surfers using the boat to place you on to the wave, then releasing the tow rope you will foil away. 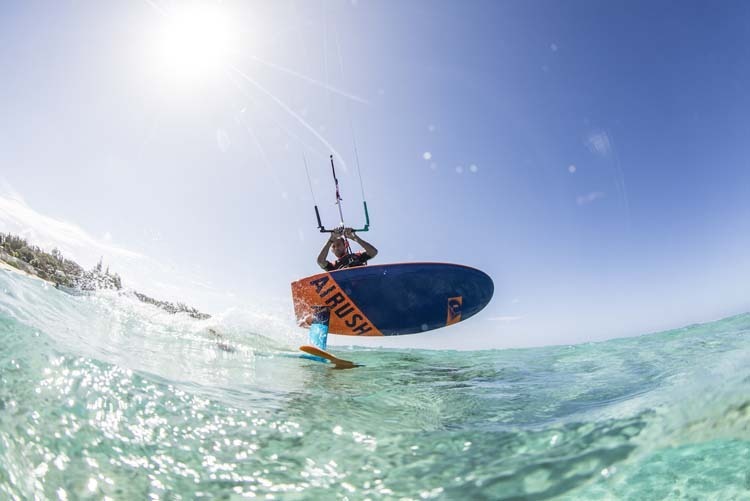 For the kiter’s and windsurfer’s it’s time to strap in and harness up to perfect up wind riding under the power of the wind. Third sessions it’s all under your own power as you paddle into waves and master the foil surf pop-up/take off, start to feel the energy of the wave and understand mastering the speed to keep you flying. Kiter’s and windsurfer’s will start jibes and tacks to turn around. The final session brings all the skills together as you raise and lower, pump and turn your way down the wave or with the wind. Each session you will be introduced to different boards and wings to discover the variety and differences. By the end of the Clinic you’ll be ready to step out in to the world as a confident foiler looking for your next high and adrenaline filled ride.